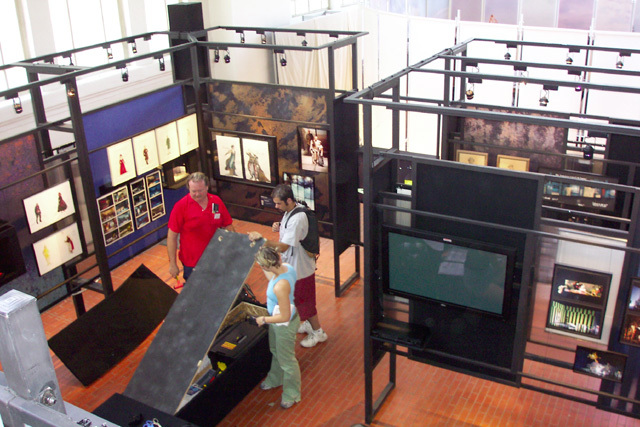 When work began on the United States’ exhibit for the Prague Quadrennial, it was quickly discovered that there was not enough room in the booth to present all of the productions the curators wished to include. Robert Scales, Exhibit Production Coordinator, asked me to create a DVD loop showcasing the productions which didn’t fit in the main exhibit. 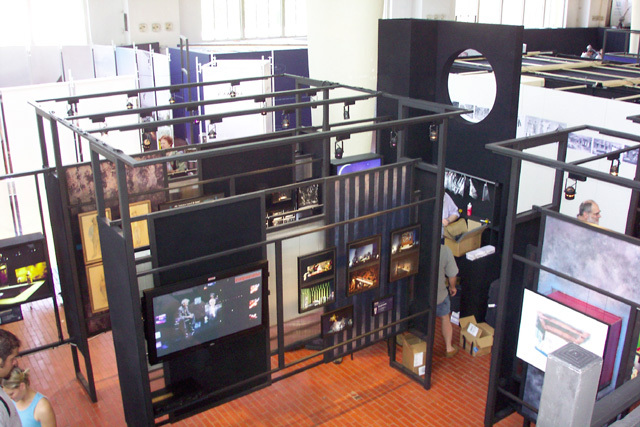 In the finished construction, there were two plasma screens featuring the DVD presentation.